The music also sounds thick, dull and overproduced. This was not the Elton millions had come to know and love. Although his new lyricist Gary Osbourne was no Bernie Taupin, criticism of his lyrics really aren't fair. He does an adequate job and did manage to pen some classics with Elton in the years to come. As mentioned before, it's the music, or, more specifically, the production that really suffers. The big irony is that the songs don't sound that bad. Most sound as though they could have been better had Gus Dudgeon been producing. The worst disaster is the monotonous eight-plus minute It Ain't Gonna Be Easy. I Don't Care and Madness suffer the most from this new found faith in strangeness. Big Dipper and Part Time Love are also overdone and sound silly. 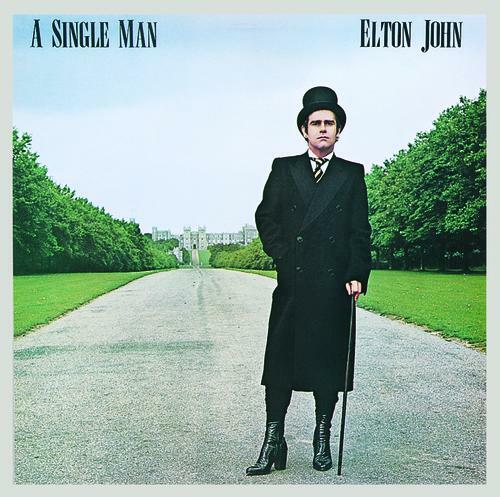 The best song on the track is probably the closing instrumental Song For Guy which was written for Elton's young messenger boy who tragically lost his life in a motorcycle accident. This song still makes the set list in some shows. The only other real winner is Georgia, which the state (smartly) adopted many years later as a travel advert for out of towners. Elton would also choose to be a permanent resident in the state. This song makes good use of the many different source of choral singers that were on the album. It should also be noted that it was around the time of this release that Elton started to record with Thom Bell, a producer who taught Elton how to use his singing voice better by incorporating a lower register into his songs. This album was the beginning of his first downward spiral.